In his play Romeo & Juliet, William Shakespeare wrote “A rose by any other name would smell as sweet.” Gertrude Stein in her 1913 poem Sacred Emily wrote “Rose is a rose is a rose is a rose.” It is one of her most famous quotes and has been interpreted to mean “things are what they are.” In other words, the fact that simply using the name of a thing invokes the imagery and emotions associated with it. Where Did the Name Podcasting Come From? The term “podcasting” came from a portmanteau of the words broadcasting and the Apple device known as the iPod. The iPod was the first device to make using MP3 files simple and easy to download, organize and use. Its ubiquitous use made it the name people used for all such devices, much like Kleenex came to represent all tissues and Xerox came to represent all paper copies. Is Podcasting the Correct Name For This Type of Content Delivery? The debate is whether a name that is so tied to a device, the iPod, and to a single company, Apple, a good thing? Well, if you own an iPhone, you now have an App for podcasts. Likewise if you own an Android phone you also have many Apps for listening to podcasts. So the Alphabet Company isn’t fighting the use of the term on their platform. The name podcast is also the way the big internet content aggregators like Pandora, TuneIn, Stitcher and others refer to this type of programming. So that got me to thinking about what Merriam Webster had to say about this. Turns out that the word “casting” is defined as “1: something (as excrement of an earthworm) that is cast out or off. “ Depending on what your experience has been with either broadcasting or podcasting, you might think old Webster got it right with the excrement part. So “casting” is appropriate in the name “podcasting.” But how about the “pod” part? If you remember, the theme that was heard over and over being said by the gurus in Seth’s blog was that podcasts were really “On Demand Audio.” So, if the “pod” were to stand for “Programs On Demand,” then the word Podcasting is absolutely the perfect word for this type of programming. And since most people who listen to podcasts, do so on their mobile phone, that signal is arriving through the ether, just like radio and television signals do, to your mobile device. In fact, my very first FCC 3rd Class Operators License was called a Radiotelephone license because when this whole wireless communications world was born, no one knew what it would become. Initially some, like Nathan B. Stubblefield, felt it would be one-to-one wireless telephony. Others, like David Sarnoff and Edwin Howard Armstrong, would see it as a one-to-many form of communication that would become broadcast radio. Led for Lunch (an hour of Led Zeppelin music) pre-dates a lot of things, not the least of which is my iPhone. But this radio programming staple along with “Two-fer Tuesdays” and “Million Dollar Weekends” (in a billion dollar world) remain on so many radio stations. It’s like Mr. Peabody’s Way-Back Machine broke down in 1972. My iPod contains a large variety of music. You would probably toss your cookies if you had to listen to it. Variety has always meant something different to each individual. That’s why radio stations that promote “the best variety” are usually wrong with a wide variety of listeners. Another worn-out, if ever appropriate, positioning phrase. Howard Stern and Adele have a lot in common. They’re one-of-a-kind. They both understand they are not for everyone and they don’t care. We are attracted to people like that. Successful radio stations are like that. Speaking of habits, they take a long time to cultivate, but once you get people in the habit of doing something, they aren’t quick to change. (It’s the reason I publish this blog every week. I’m trying to get you in the habit of expecting it and reading it.) Too many radio operators, in the name of budget cuts, eliminated the very reason many listeners had the habit of tuning into their radio station. Personalities are what differentiate a radio station and create the habit of daily listening. Personalities and radio stations that are part of the fabric of the community will be found on every radio, including the new digital dashboards appearing on the latest vehicles. If people want what you create, they will find you. The art of the tease has changed in a world with smartphone access to Google. If you tease a viewer or a listener, you better be the only place they can get the pay-off or you have effectively sent the person packing for another source. Demographics are so yesterday. Psychographics are today. I like many of the same forms of entertainment that my grand kids like. (They also probably can operate my smartphone better than I can.) If age was ever a good way to define listeners or viewers, we definitely know it isn’t now. Pick a tribe you want to super-serve and then do it relentlessly. What should you focus on most? Everything. The devil’s in the details and no one’s focused on the details anymore. All great entertainment is laser focused on the details. Go see a Cirque du Soleil performance if you need an example to emulate or watch the coaching staff instead of the playing field during a college or NFL football game. Nothing stays the same. You’re either getting better or getting worse. When radio was first introduced, to listen to it, you needed to wear headphones. Radio was one-to-one and very intimate. As the technology evolved the radio speaker would change the medium from one-to-one to group listening. Radios were expensive. If you owned a radio you shared it. A family would gather around the radio and listen together. Families would transfer this together media habit to TV and the transistor radio would become the refuge of teenagers who wanted to go in a different direction. 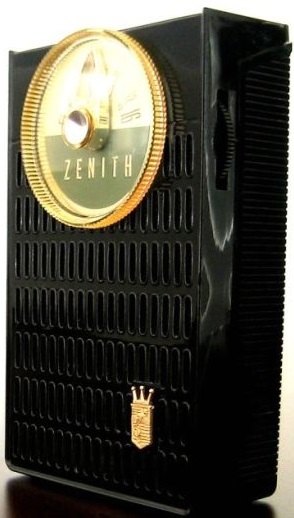 My first radio was a Zenith transistor with a little ear piece for one ear. I would go to bed and turn it on under the covers and listen to “the world.” It was all AM radio and after sunset, the DX’ing of the nighttime skywave would always bring a new radio station into my ear to savor. 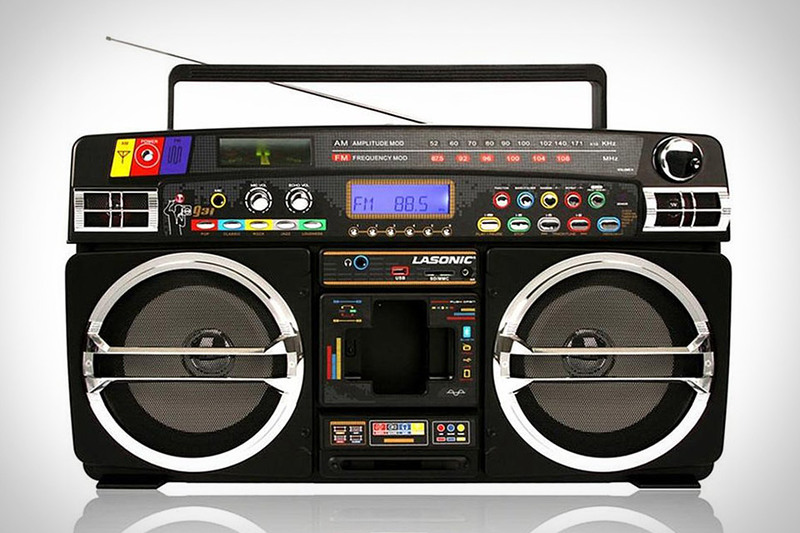 In the mid-70s the Boombox would be introduced to America and these radios grew both in size and the amount of bass they could produce. By the 80s they could be as big as a suitcase and carrying them around on your shoulder was a status symbol. Go to a beach resort, and whether you were walking the boardwalk or on the beach, radios were blasting music from every direction. When Y2K didn’t impact our fully computerized radio stations, we all breathed a short-lived sigh of relief because it was quickly followed by a new threat; the iPod and ear buds. 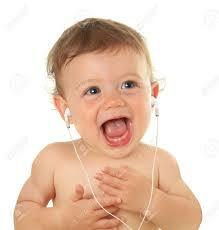 Once again listening to music became a very personal activity. The ear buds would transfer to the iPhone and iPad. The introduction of the iPhone6 may have killed the iPod, but not the use of headphones or ear buds to listen to your audio. So what exactly are all those people listening to? The latest research from Edison Research says American Teens are spending more time with streaming audio services from places like Pandora and Spotify, than they are listening to either streaming AM/FM radio or over-the-air radio. Edison reports this finding in their fall 2014 “Share of Ear” report. It’s not all bad news for AM/FM radio. It is still popular Edison tells us “by a significant margin among all other age groups.” So where did the teens go? Pureplay Internet streamers. What do they love most? The ability to skip a song they don’t like. That’s really not hard to understand. I love my DVR for a similar reason. Especially when it comes to award shows. I never watch them live anymore. I record them for later viewing and I can watch a 3+ hour awards show in about 20 minutes time. I skip all the bad parts. In fact, I rarely watch anything on TV live anymore. Everything is recorded so I can control it. So is it any surprise that teenagers once they are given this kind of control will ever want to give it up. A new habit is being formed. The other aspect about pureplays that AM/FM radio could be addressing is their complete focus on the quality of their streaming product. What I’m hearing is a clean commercial insertion. Nothing gets cut off in the middle or repeated multiple times in the same long break. Pureplays deliver their commercial messages in a style that compliments the music programming; in a way that actually has you enjoying listening to the commercial message. The teenagers have moved their listening to streaming and podcasts. The spectrum auction being held by the Federal Communications Commission is all about creating more wireless connections for all kinds of mobile devices. I live in South Central Kentucky. I can stream my iPhone into my car’s seven speaker sound system through Bluetooth and everywhere I drive it’s clean and clear with no dropout or buffering. It’s scary good. It’s as easy to do as turning on my car’s audio system. Nothing to plug in or connect. It happens automatically. South Central Kentucky is also blessed with some excellent over-the-air radio stations. So they very effectively compete, in my opinion, with streaming. But I wasn’t raised on streaming. I also like a good air personality. 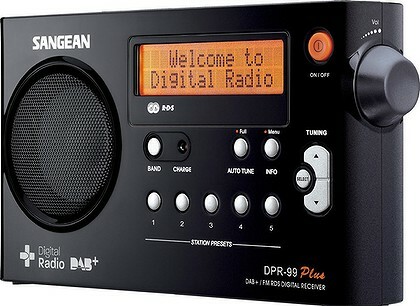 The problem with digital radio is FM radio. FM radio is loved by the consumer. They don’t find anything wrong with FM radio (other than too many commercials). With no perceived need to change, the FM radio listener doesn’t. That’s not just a problem for radio station owners in America, but all around the world. I often like to compare the start of HD Radio with the introduction of the iPod by Apple. Both happened about the same time. One has sold hundreds of millions of units and now is no longer made, and the other is HD Radio. Interestingly enough, the introduction of digital audio broadcasting was born around the same time as the World Wide Web. It was born before MP3s and iPods. Born long before the advent of Smartphones and Tablets and yet, digital in the world of over-the-air radio transmission is still waiting to get traction with the consumer. FM radio commanded 75% of all radio listening in America back in the 1980s when the number of AM and FM radio stations in America numbered about the same. So it’s no surprise that over three decades later that FM dominates when the number of FM radio stations, translators (FM stations) and LPFM (FM stations) far outnumber AM radio stations that are on-the-air today in the USA. Across the pond, the British government was planning to switch that country’s radio listening from FM analog to digital when the penetration of digital radio listening reached 50%. They thought that would happen by 2015. Currently digital radio listening in England stands at only 36% and the government has now wisely put off setting a new date for this transition. The problem in England goes beyond just radio sets in homes and cars. British folks also can listen to FM radio on their Smartphones. Unlike here in America, the FM chip that comes inside Smartphones has been turned on. These chips remain in the off position in America with no way for a Smartphone owner to turn it on without “jailbreaking” their phone which is illegal. The members of parliament aren’t about to turn off a system that serves around 25 million listeners, if they want to get re-elected. I own one HD Radio. My local NPR FM radio station broadcasts with 100,000 watts on their analog FM signal. It’s crystal clear and comes in everywhere I go. They simulcast their NPR and other talk programming on their HD Radio signal too. That is plagued with dropout and a short range in terms of where I can pick it up. The same HD Radio that picks up the digital broadcast of my local NPR radio station also has an FM tuner (but no AM tuner). I can switch between the analog FM and digital FM, and to my ears they sound about the same. And therein lies the problem. No perceived difference other than one goes great distances with no drop out and the other is HD Radio. At this point in time, what seems clear is that is FM radio isn’t going anywhere anytime soon. AM radio station operators would benefit by having a similar FM signal that delivers the same coverage area as their AM license provides sans the sky wave effect. Giving them a low power translator is an insult in my opinion. All Smartphones should have their FM chips turned on. NextRadio should be embraced by FM broadcasters. All broadcasters need to focus on their content and make sure that whether it’s over-the-air or over-the-Internet, it’s of the same high quality and offers all of the same content on both. I’ve never heard an FM radio listener complain about the quality of their signal and what they do complain about, isn’t being focused on by broadcasters. We have no time to lose. FM radio has the delivery system in place. Take advantage of it to serve, entertain and inform.